Do you ever find it hard to focus and write? Have you got a piece of writing (such as an article, guideline, university course assignments, dissertation or thesis) to do but struggle to find the time? 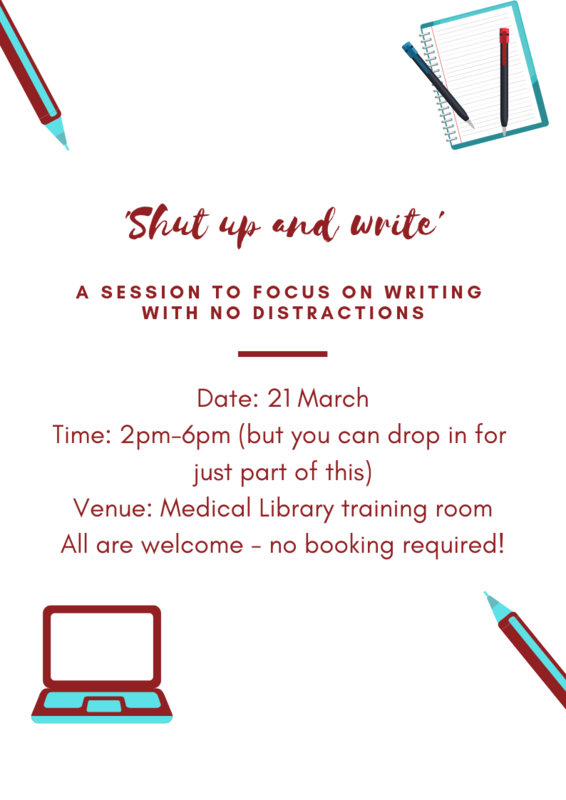 We’re announcing two ‘shut up and write’ sessions: dedicated time to do nothing but write, in a quiet, motivational environment. Both sessions will be in the library training room. We will provide computers, but if you want to bring your own laptop you are most welcome to do so. You can drop in for an hour at a time if you prefer not to stay the full four hours. There’s no need to book, but spaces will be allocated on a first come, first served basis. BMJ Best Practice now available via NHS ATHENS.